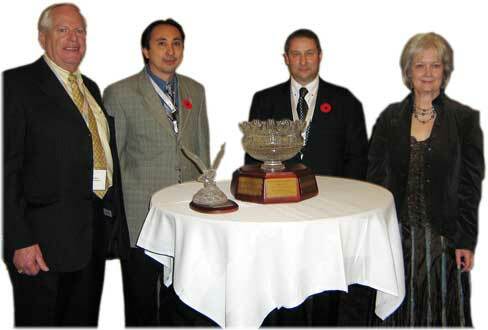 Nov.14th Wayne L. Cave of Chinook Helicopters fixed-wing division, Abbotsford, B.C. Mr Cave has been an Aviator since the age of seventeen. Flight instruction quickly became his passion, his dedication & superior teaching skills clearly shine through. His tenure of fourteen years with Coastal Pacific, B.C. 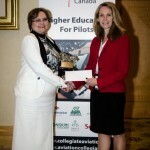 enabled him to develop & update a variety of post-secondary curriculum for the Bachelor of Business Administration Aviation Degree Programs (BBAA.) 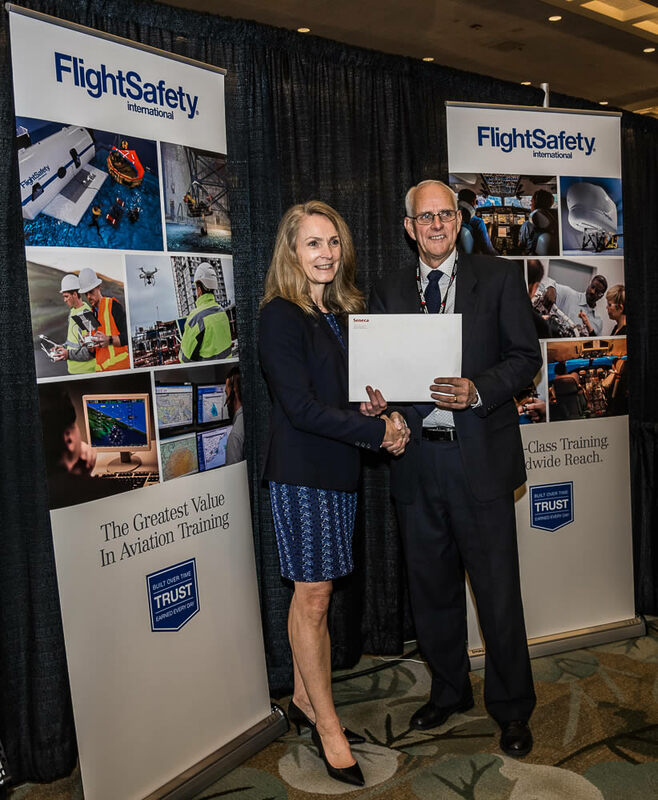 He has personally influenced the safety training of a large portion of Pilots who have trained at Abbotsford & is now working at Chinook Helicopters, Abbotsford, B.C. where he started up their fixed-wing division. His work ethic & commitment to safety are second to none. 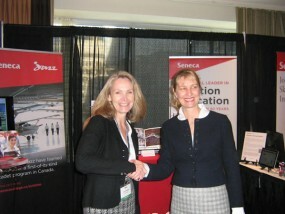 All photos courtesy of Mike Doiron. A TRUE AVIATOR, AN ACCOMPLISHED PILOT; A CLASS 1 FLIGHT INSTRUCTOR & A CLASS 1 AEROBATIC INSTRUCTOR IT IS HIS STRONG BELIEF THAT EVEN SOME AEROBATIC EXPERIENCE CAN MAKE A PILOT MORE COMPETENT AND MUCH SAFER. HE STATES, “ I PERSONALLY HAVE PUSHED MYSELF TO FULLY EXPERIENCE THE FLIGHT ENVELOPE THROUGH MY COMPETITIVE AEROBATIC FLYING, TO PURSUE DISCIPLINED PRECISION FLYING WITH THE HOPES OF INSPIRING OTHERS TO REACH FOR THEIR TRUE POTENTIAL, AND ULTIMATELY BECOME SAFER PILOTS.” THIS FLIGHT INSTRUCTOR FINISHED FIRST IN HIS CATEGORY AT THE US NATIONAL AEROBATIC CHAMPIONSHIPS IN 2016. 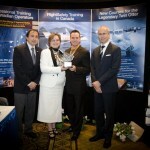 FlightSafety’s presentation by Gail Greenwood, Sales Manager, Toronto to Luke Penner. 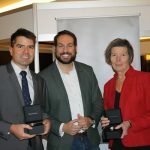 Luke Penner & Janet Keim receiving aviator watches from Thomas Sandrin, Brand Manager, Hamilton watches. 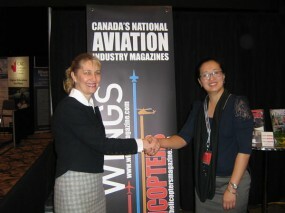 Catherine holds both fixed wing and helicopter licences; was the first woman in Canada to hold a helicopter instructor rating and is the only Canadian helicopter pilot to hold a Chinese licence. 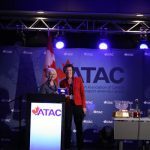 Her contributions to aviation over the years, especially in the helicopter training sector has been significant; in the capacity of Instructor, Pilot Examiner and Business Leader. 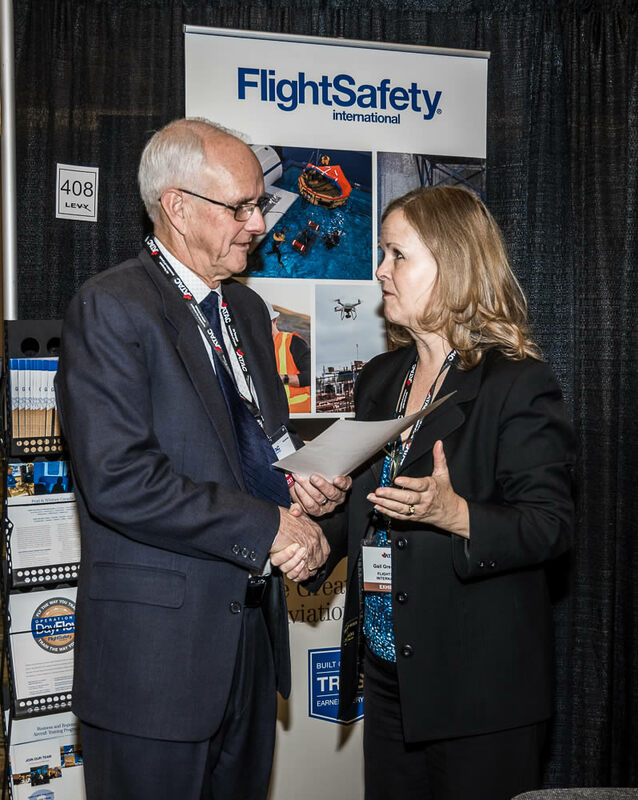 It It is felt by many that the good safety record in commercial helicopter operations throughout Western Canada is in many ways attributable to the high quality of training offered by Catherine Press and her team at Chinook Helicopters. 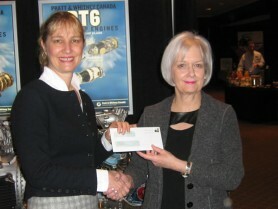 Sherry Cooper is a mentor and role model for women in the flight training industry who is totally committed to promoting aviation in the central Alberta community and beyond. 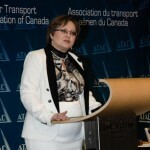 Her contributions to aviation within the industry have been numerous throughout the years, serving on various Boards. 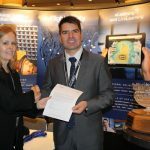 Chris made a significant contribution to the development and management of Moncton Flight College’s Approved Training Organization and the subsequent launch of the Multi-Crew Pilot License MPL. Both of these are a first in Canada. He consistently demonstrates high levels of professionalism, commitment and acute understanding of the complexities of operating a flight training unit in a safe and productive environment. 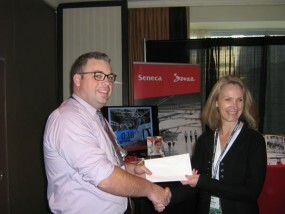 Jane Abramson (left) presents the cheque from our Sponsor, Essential Turbines to 2014 recipient Chris Walsh (right). An innovator in the field of flight instruction, he has spent over twenty years accumulating over twelve thousand hours. 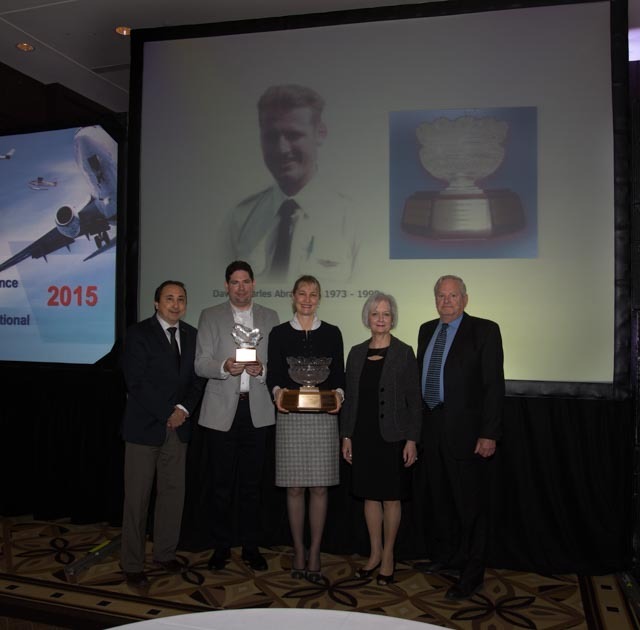 His greatest contribution to aviation safety will be the next generation of flight instructors that he has trained. He is an individual who believes strongly in demonstrating leadership and in cultivating leadership in his students. He is intolerant of average goals believing, as I do, the safest pilot is one who is trained to the highest possible standard and one who seeks to excel in his discipline. Beyond instructing students he believes that to have a lasting impact he must also direct his efforts to the task of training the people who teach people to fly. Paul is Manger of Flight Operations at Pacific Flying Club. 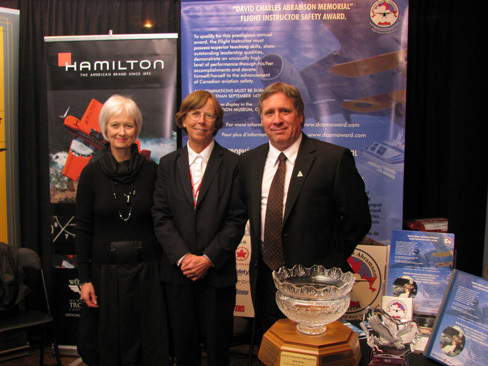 L to R, Clark Duimel, PFC recipient 2005, Paul Harris, PFC recipient 2012; Kathleen Fox, RFC recipient 2011; Bob Henderson, MFC recipient 2008. 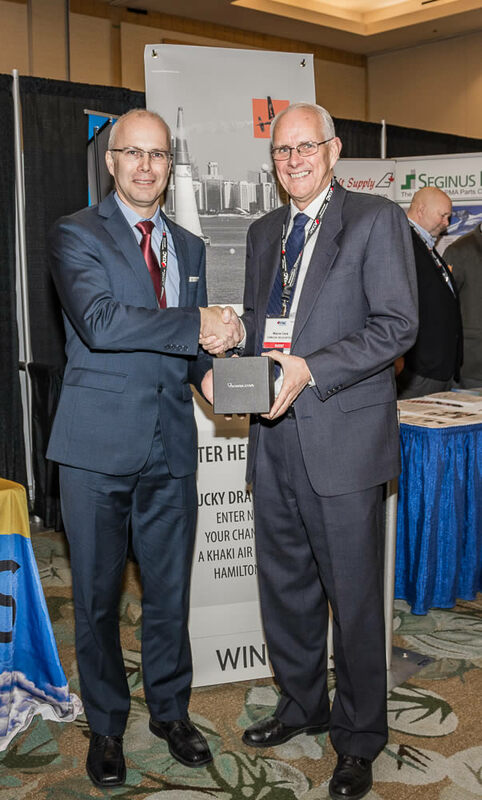 L to R, Paul Harris, being presented with Hamilton watch, by Clark Duimel. 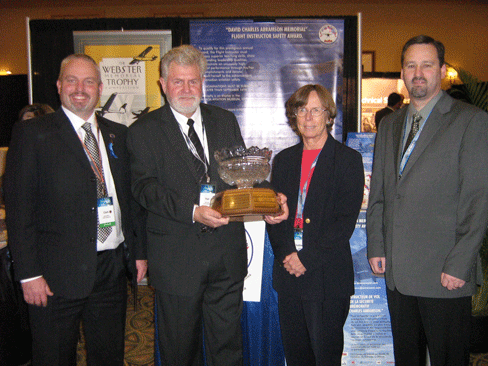 L to R, Wayne Gouevia, VP Commercial General Aviation & VP Prairie & Northern, ATAC; Paul Harris, recipient; & Rikki Abramson. 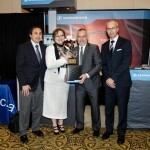 Some DCAM sponsors & recipients. KATHLEEN (KATHY) FOX, of ROCKCLIFFE FLYING CLUB. 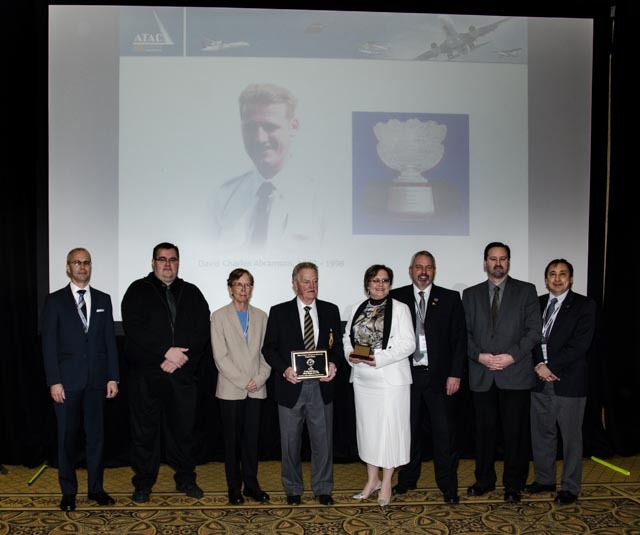 “Aviation, safety & teaching are threads that have intertwined throughout my life and career; I am an educator at heart,” states our 2011 recipient who celebrates all the best in general aviation. 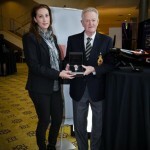 Her long and distinguished career has resulted in having many honors bestowed upon her; including the Queen Elizabeth II Anniversary Medal for contributions to sport parachuting in Canada & being inducted into the Quebec Air & Space Hall of Fame. 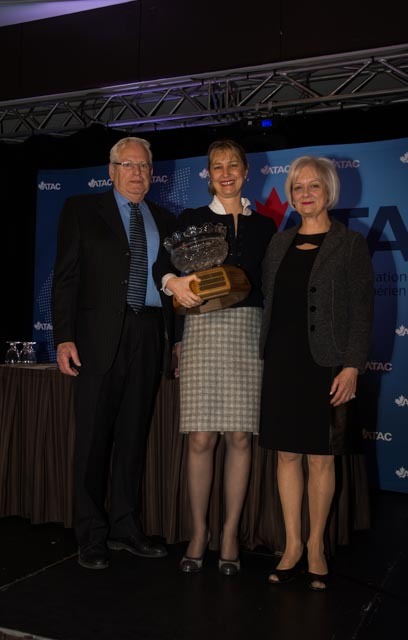 A particularly impressive honor that she has received is the FAA having named an approach fix after her (“KFOXX,”) at Massena, New York, an unprecedented step in recognition of the FAA’S respect for her services at NAV Canada. 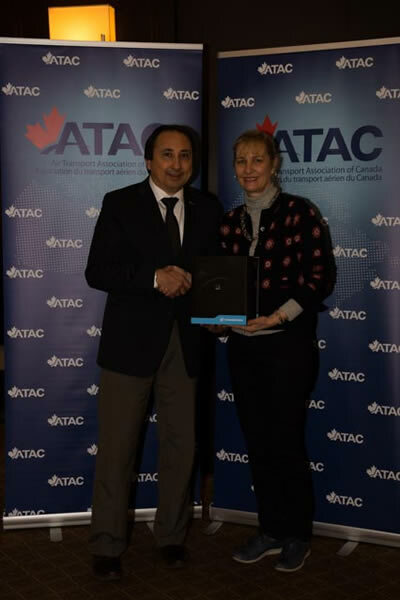 As a Board Member of the Transportation Safety Board of Canada, she passes on lessons learned from published investigation reports to her peers and students at Rockcliffe Flying Club, Ottawa, where she provides a safety leadership in her role of flight instructing. She is described by all as being someone who is not only a great teacher but remains a great student, striving to learn more. 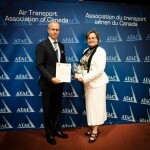 Left to Right: co-founder Jane Abramson, Kathleen Fox & John McKenna President & CEO of ATAC. WILLIAM SUTHERLAND, OF MONCTON FLIGHT COLLEGE. 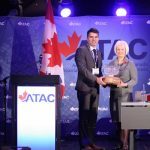 It goes this year to a young man whose achievements so far and whose potential shine full of promise as a beacon for the future of Canadian air safety. 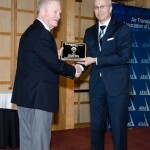 His strong leadership, integrity, technical competence and commitment to excellence played a significant role for Moncton Flight College’s approval process to be the first flight training approved training organization in Canada which was required in order for MFC and partner CAE, to conduct the first Multi-Crew Pilot License training in North America. 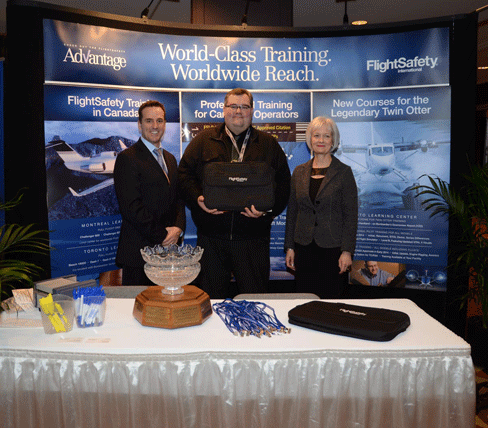 He is Manager of Corporate Safety and Quality of Moncton Flight College. 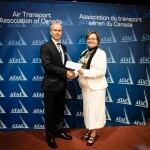 Left to Right: Wayne Gouveia, VP Commercial General Aviation & VP Prairie & Northern, ATAC; William Sutherland, Recipient and Jane Abramson, Co-founder. 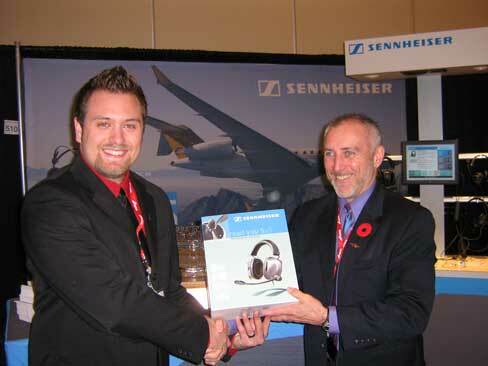 Left to Right: William Sutherland, & Tim Mell, Business Director, Aviation, Sennheiser Canada. 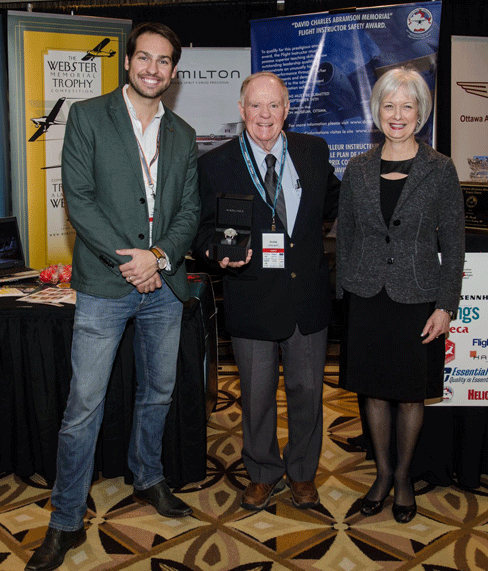 Left to Right: Alison De Groot Associate Publisher, Wings & Helicopters magazines & William Sutherland. Left to Right: Tasneem Hashmi, Asst. 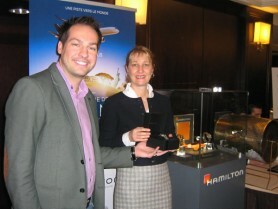 Centre Manager Flight Safety, William Sutherland, Gail Greenwood, Product Marketing Manager, FlightSafety. 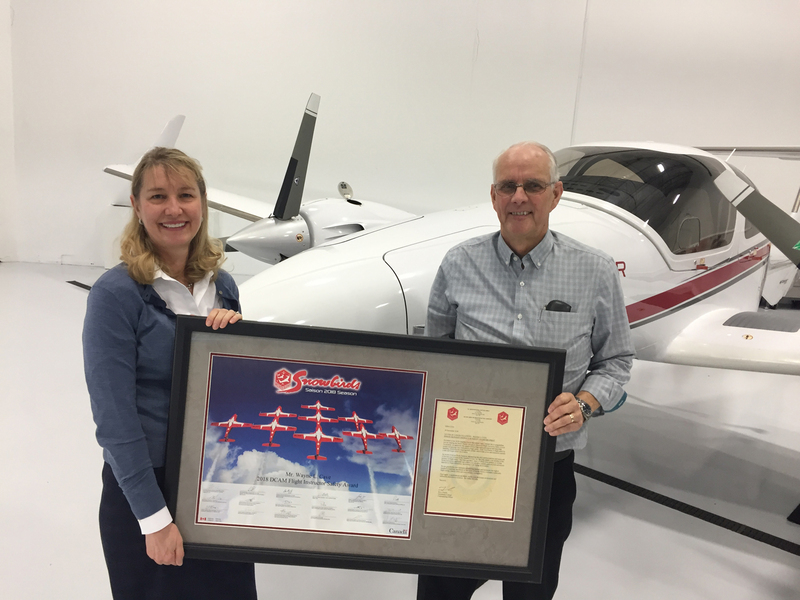 This passionate aviator, extraordinary flight instructor has dedicated his life to nearly forty years to flight training and general aviation. 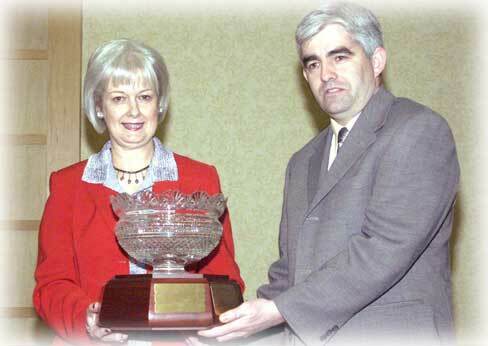 He has done much to successfully guide and expand the horizons of those who walk through the doors of his school. A student comments, “He is an individual who has lived out the ideals that your award embraces.” An approachable icon, he is always willing to discuss and share his vast knowledge. 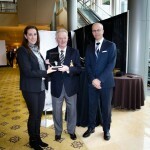 This year we celebrate our award in recognizing an individual whose passion and gifts to the younger generation of pilots have created a unique legacy and heritage for the future of aviation in Canada and who has established a facility capable of maintaining that heritage. 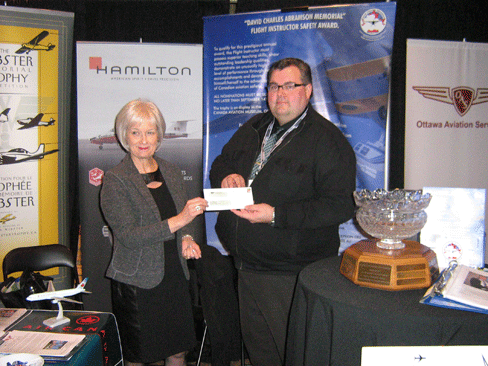 He is president and chief flight instructor of Harv’s Air, Manitoba: www.harvsair.com. 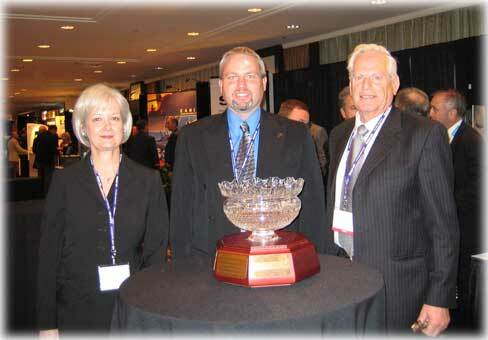 Left to Right: Harvey Penner, recipient, Jane & Rikki Abramson, Wayne Gouveia, VP., Commercial General Aviation, ATAC. 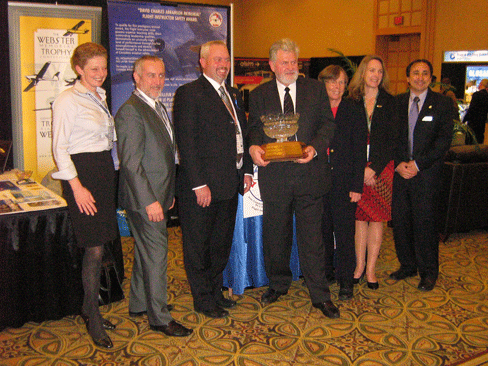 Left to Right: Jane Abramson, Martin Eley, Director General Civil Aviation, Transport Canada, Harvey Penner, recipient. 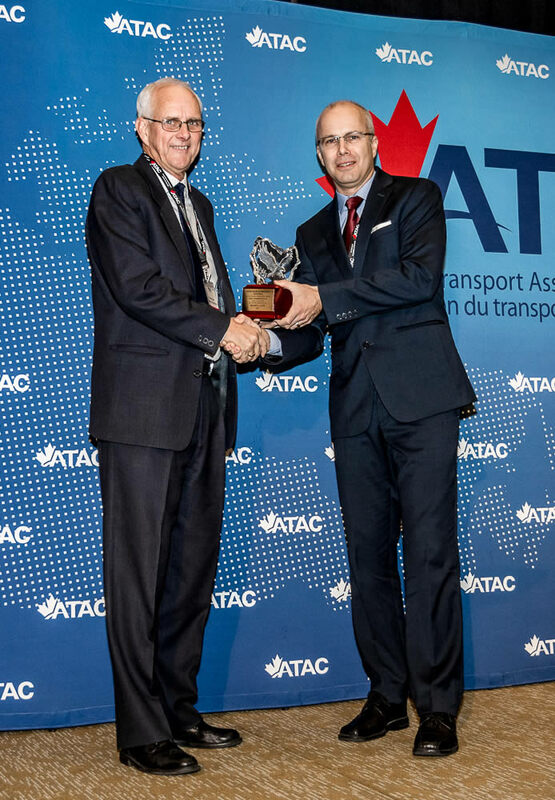 Having five hundred full time students on four different programs; over the last several years to meet the requirements, he has worked with three different government aviation agencies; Transport Canada, Civil Aviation Authority of China and Joint Aviation Authority Training from Europe. A strong work ethic, a methodical individual, a great mentor, make up the qualities of this exceptional flight instructor. He demonstrates time and again a dedication that is beyond compare. 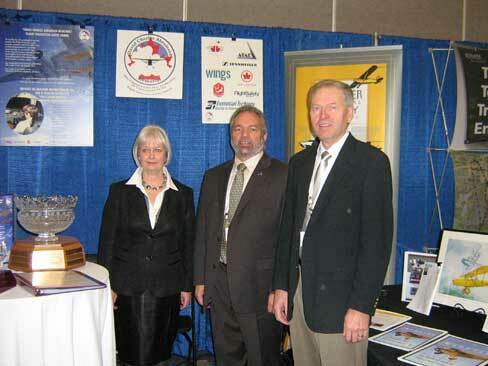 He is Director of Flight Operations & Chief Flight Instructor of Moncton Flight College: www.mfc.nb.ca. 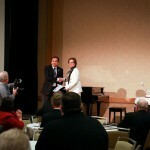 Left to Right: Michael Skrobica, Interim President & C.E,O. 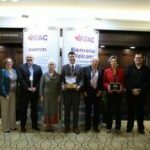 of ATAC., Jane Abramson, Bob Henderson, Recipient, Rikki Abramson, Mike Doiron, Chairman of the Board of Directors, of ATAC & Principal & C.E.O. 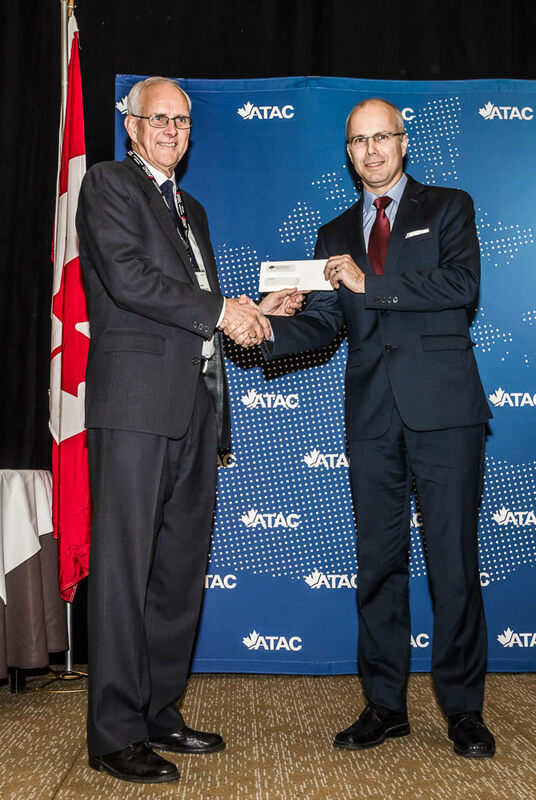 of Moncton Flight College, Wayne Gouveia, VP., Commercial General Aviation, ATAC. Having had an extensive career in the Canadian Military where he trained on the Sea King helicopter & the Tutor Jet, one of his many distinguished accomplishments was being the chief flight instructor at the Moose Jaw Military Flight Training Base. “His passion for flight, vast amount of knowledge and enthusiasm for teaching has made him a role model,” quote his students. 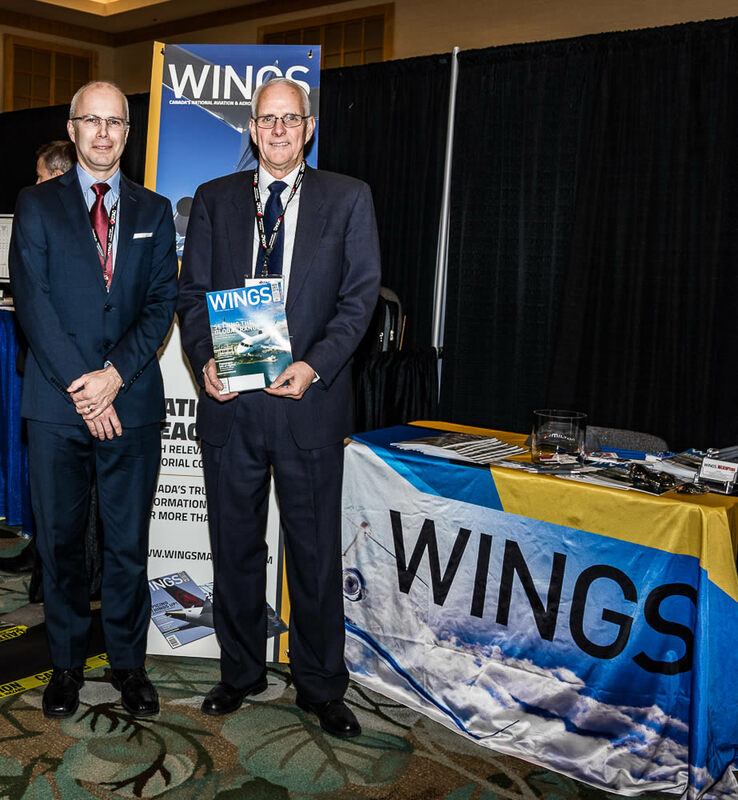 He is Chief Flight Instructor & Professor of Human Factors & Safety Systems for the School of Aviation & Flight Technology, Seneca College, Toronto. 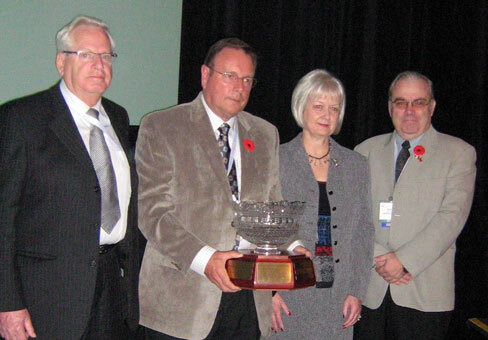 Left to Right: Rikki Abramson, John Robertson, Recipient, Jane Abramson & Mike Doiron, Acting Chairman, ATAC. 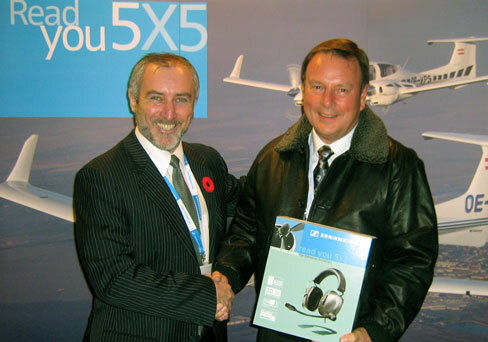 Left to Right: Tim Mell, Aviation Business Director, Sennheiser Canada Inc. & John Robertson, recipient. 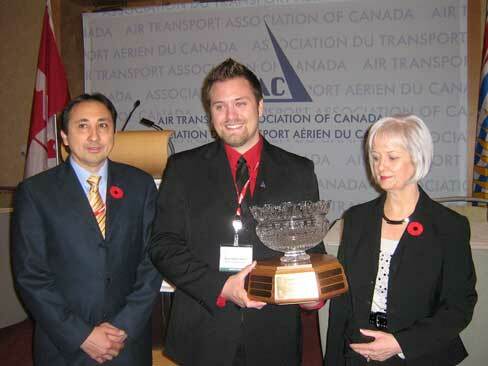 He leads by example, a strong advocate for promoting and advancing Canadian aviation safety. 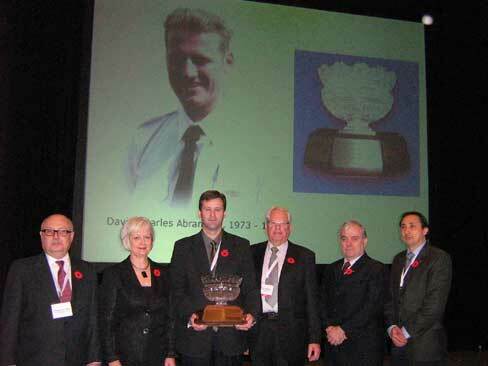 An accomplished aviator, he is a member of the Canadian Precision Flying Association, winning a Silver Medal at the National Championship 1999 and a Bronze Medal in 2000, also competing in the World Championships the same year in Sweden. 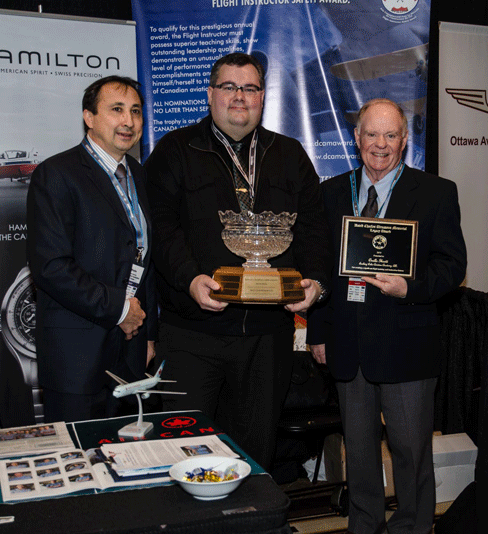 Simon is Operations Manager & Chief Flight Instructor at the Rockcliffe Flying Club and also Airport Manager for the Ottawa/Rockcliffe Airport – home of the Canada Aviation Museum. 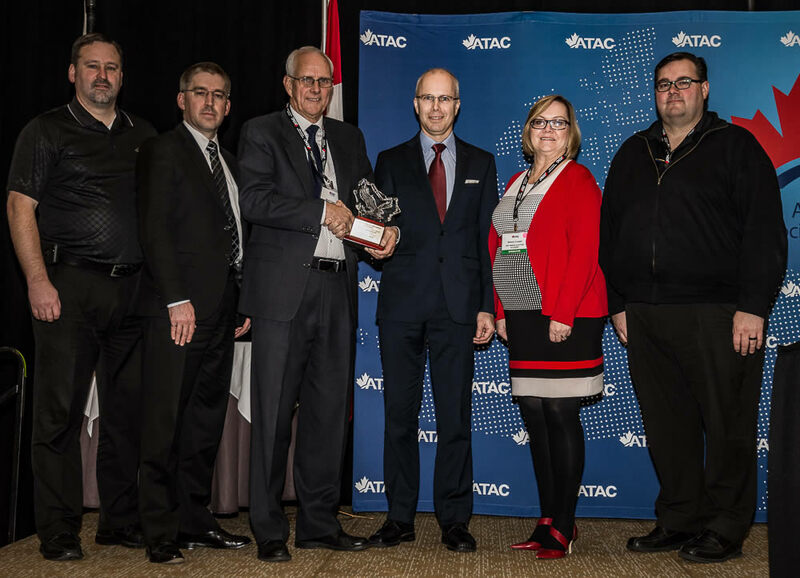 Jane & Rikki Abramson (left & right, respectively) accompanied by Wayne Gouveia, VP Commercial General Aviation, ATAC (centre left) present the fourth annual DCAM Flight Instructor Safety Award to Simon Garrett (centre right) at ATAC’S AGM & Convention in Victoria, BC. 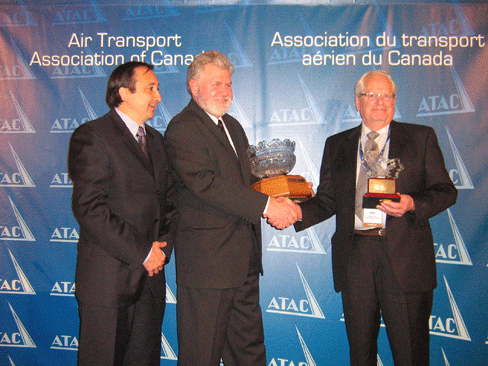 Exemplary in his commitment to teaching and advancement of Canadian aviation safety, he is highly regarded throughout the industry as one of the most experienced flight training professionals in the country, as well as one of the only Instructors in Canada to have been trained in aircraft maintenance. 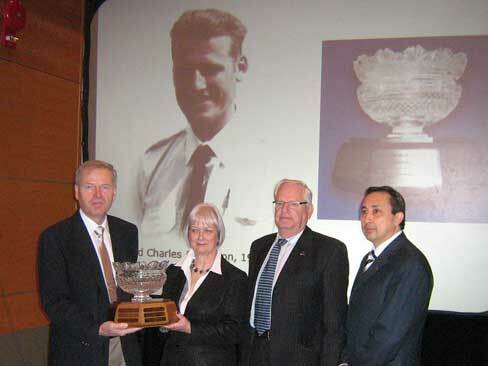 Clark is Director of Flight Operations at Pacific Flying Club, Vancouver. 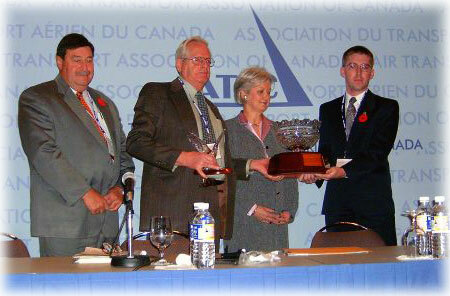 Jane & Rikki Abramson present the third annual “David Charles Abramson Memorial” Flight Instructor Safety Award, to Clark Duimel (centre), at Air Transport Association of Canada’s Annual General Meeting & Convention at the Queen Elizabeth Hotel in Montreal on November 7th, 2005. 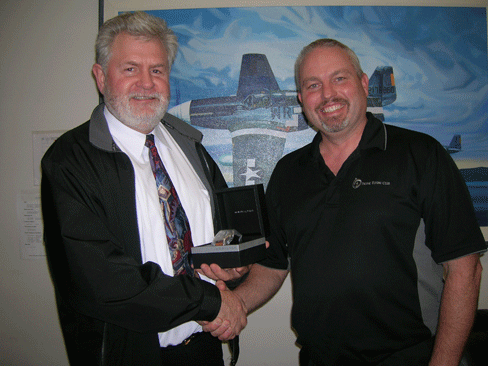 His commitment throughout the years to the quality of flight training and operational safety has been outstanding. 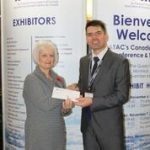 He is Moncton’s Safety Officer, coordinating their Safety Management System and related programs, organizing and chairing safety committee meetings, while being a member of the Canadian Society of Air Safety Investigators. An Instructor who motivates his students through his sincere love of flying, is a Class 1 Instructor, a Class 1 Aerobatic Instructor, obtaining a BA Degree from Mount Allison University, New Brunswick. We commend him for all he has achieved. An achiever, goal orientated, enhancing safety and winning numerous awards, Aaron is a Class 1 Instructor, as well as a Class 1 Aerobatics Instructor, holds an ATPL, a glider licence, and a float endorsement. He also doubles as a maintenance coordinator for OAS. He is much involved with the Air Cadet movement. 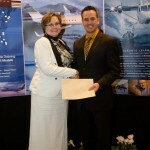 While completing his Commercial Pilot training and Instructor rating, Aaron managed to finish a Degree in Aerospace Engineering Awarded with Distinction at Carlton University in Ottawa. This sums up a truly exceptional Flight Instructor.